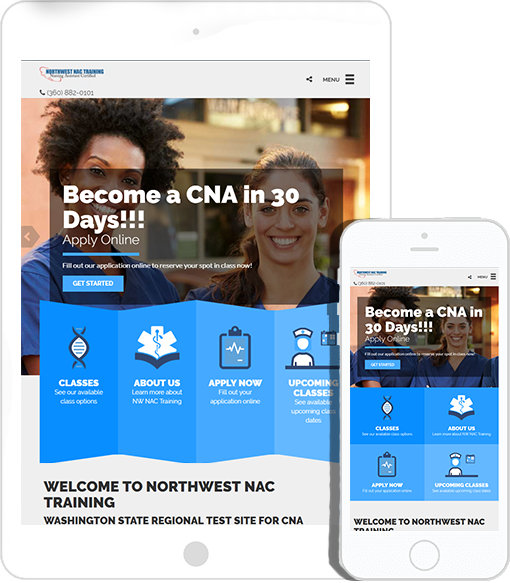 Northwest NAC Training needed to streamline their website with more consistent branding, colors, and even fonts. In addition, the site was not “responsive,” meaning the desktop site also appeared on smart phones and tablets. Content for the site needed to be rewritten to improve Search Engine Optimization ranks as well as readability. The site navigation also needed an overhaul to make it more usable for potential customers. All of the basic information was there, it just needed to be repackaged. 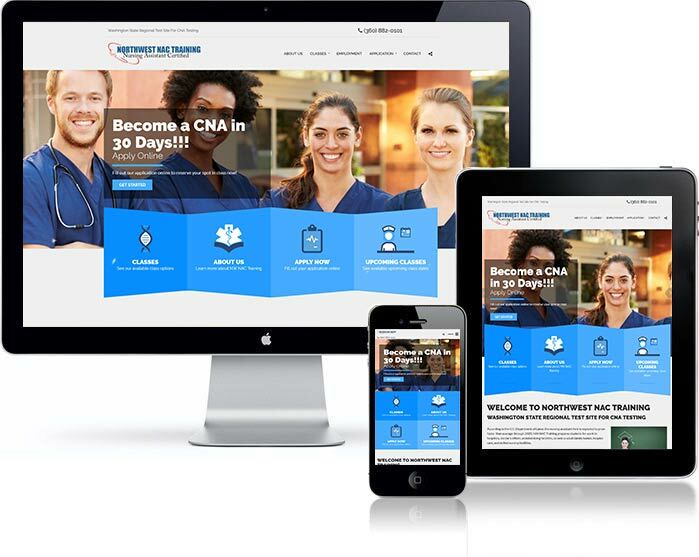 A responsive, cleaner layout was chosen for the site, making it more user friendly for desktop, tablets, and smart phones alike. Improved navigation made it easier for prospective students to get the information they needed. Additional information was added as well, providing more information for students and search engines alike. New content, focused keywords, and back-end coding helped raise the rank of Northwest NAC Training when searches were performed. More than 57 percent of visitors to the site were using a mobile device. The old site was made for desktop visitors – the new site is made for all visitors. All changes made to the site had one thing in common – bring more students through the door. With consistent calls to action throughout the site, turning prospective students into actual students is always just a click away.